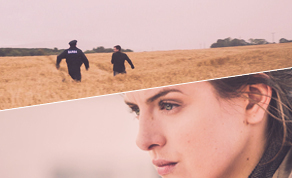 ‘Property of The State’, a powerful drama based on the true story of a young woman who must deal with the devastating effects of having a murderer for a brother, will launch in Irish cinemas - Friday, October 27th. Based on the diary of Ann Marie O’Donnell and adapted by Susan Morrell, ‘Property of The State’ explores how the misdiagnosis of challenging behaviour at an early age, the lack of care of individuals with a mental illness, and domestic and institutional abuse could combine and ultimately lead to tragic consequences, consequences that were potentially avoidable. ‘Property of the State’ was made in Northern Ireland with filming taking place at Shackleton Studios at Ballykelly and the surrounding areas from October 2015 and post taking place at Twickenham Studios. Music is by Pol Brennan. Directed by Kit Ryan, the film is produced by Terence Ryan, Alan Latham, Jo Gilbert, James Ryan and Ken Tuohy. IFTA nominated Aisling Loftus (‘War and Peace’, ‘Mr. Selfridge’) plays Ann Marie O’Donnell while IFTA Rising Star Patrick Gibson (‘What Richard Did’) plays her brother Brendan. Other actors to feature include Elaine Cassidy (‘The Program’, ‘Les Liaisons Dangereuses), Hugh O’Conor (‘The Fall’, ‘The Frankenstein Chronicles’), David Rawle (‘Moone Boy’) and Hazel Doupe. 'Property of the State' goes on general release - Friday, October 27th.